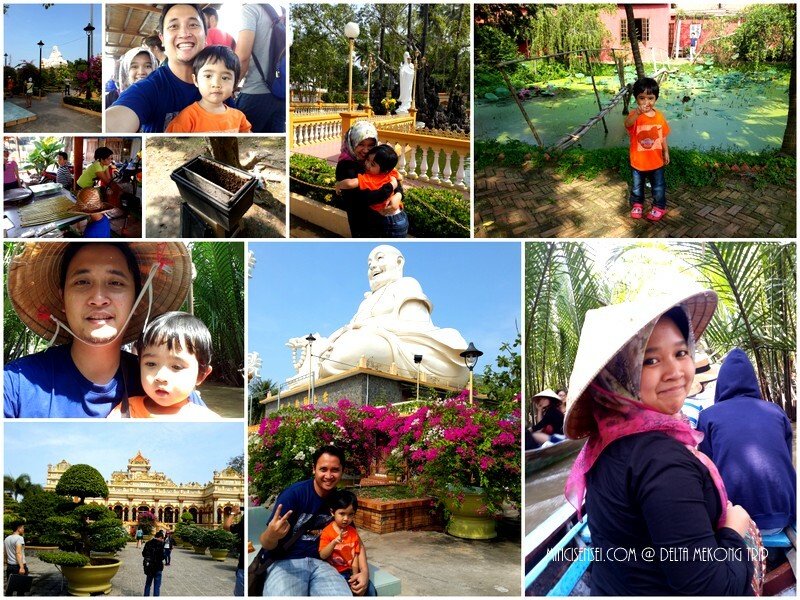 The trip to Ho Chi Minh, Vietnam in December 2014 was to commemorate our 4th year marriage anniversary. It was impromptu. I did not think that Mr Husband would be serious to book the trip in less than 3 weeks but he did. Anything is possible with AirAsiaGo.Com. This time we didn’t manage to score a freebie but it was still a relatively cheap trip. Ho Chi Minh is a sea of people. A small world stuck in 10 years ago maybe more. I was drawn to its spell of simplicity. Its spell of trade. It interest me to see these people going through the same routine daily which probably have been going on since the times of their grandparents.They take pride in the history of the Vietnam War and claims most citizens would eat anything that moves including rats especially when they are in season hence the ‘Mouse BBQ’. 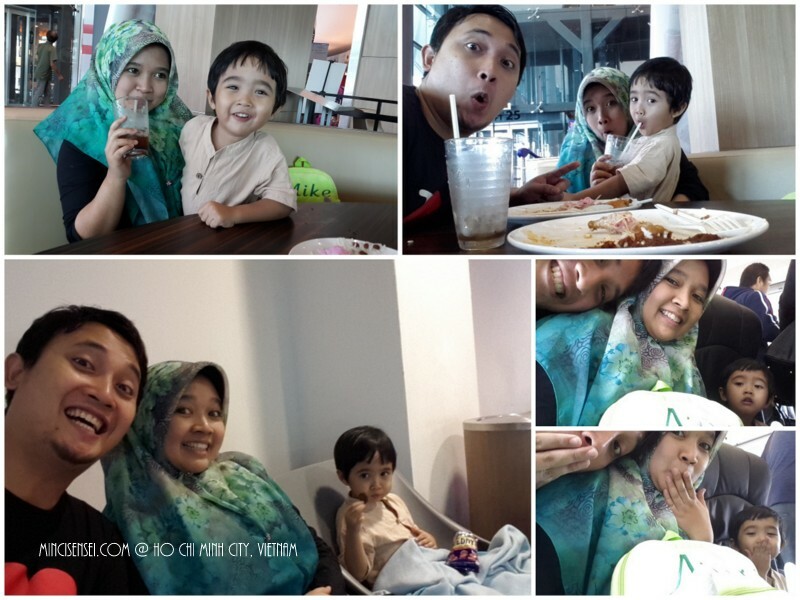 For this mini holiday, we stayed at Duna Hotel. 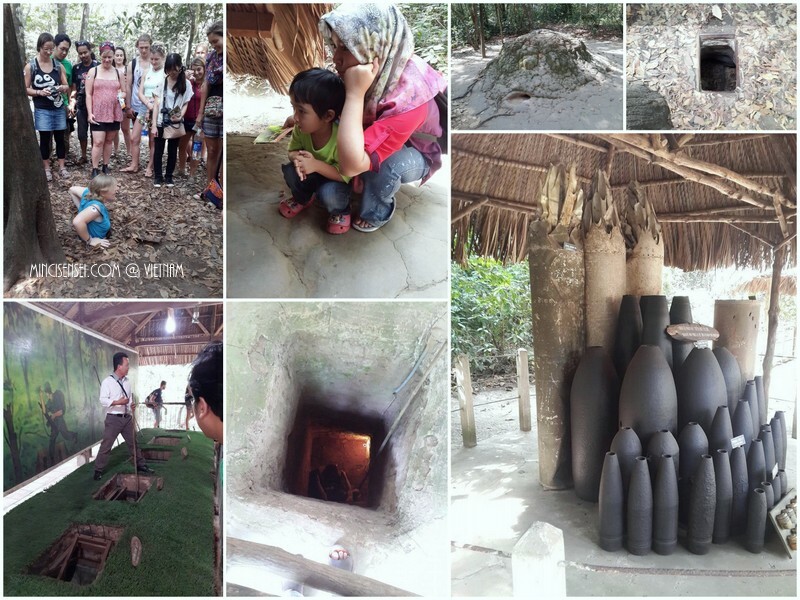 We booked day trips to the Mekong river and Co Chi tunnel through a tour agency. They were very kind to accommodate our special diet restrictions as Muslim tourist which is acknowledged as ‘tak boleh makan babi’. Ha ha. 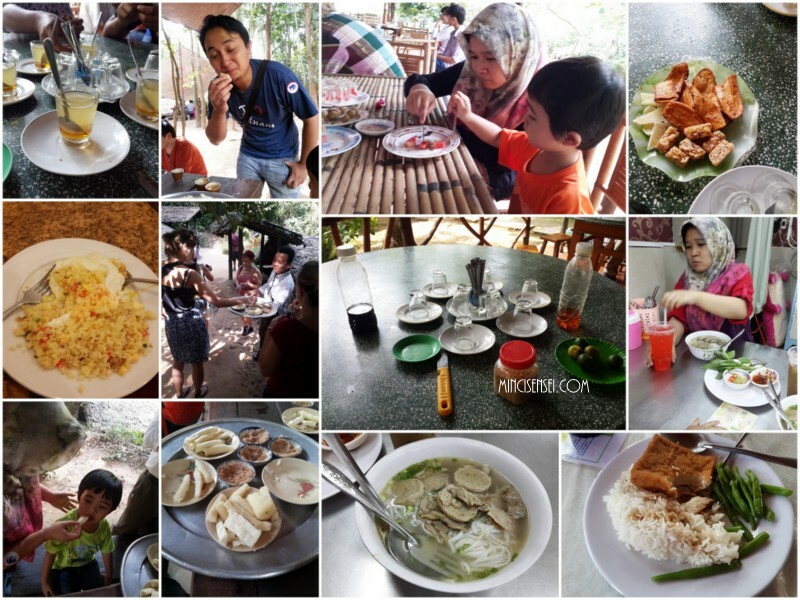 We shopped for clothes and fabric at the Ben Thanh market and enjoyed simple Vietnamese meals at the Malaysian street. Most of the time it was a free and easy schedule. No rush, no lush. A day trip to the Mekong river. Took the ‘sampan’, watched the coconut candy making sessions, drank fresh honey in tea sprinkled with what looked like pollen. On the way to the river, stopped at a beautiful temple. Co Chi tunnel : Many displays of human torture machines. And guerilla tactics and weapons. Pho noodles, fried rice with soy sauce, tapioca, honey tea drink.. to name a few. Ho Chi Minh – a small city with an interesting story. I would go there again more prepared next time. How was your experience?